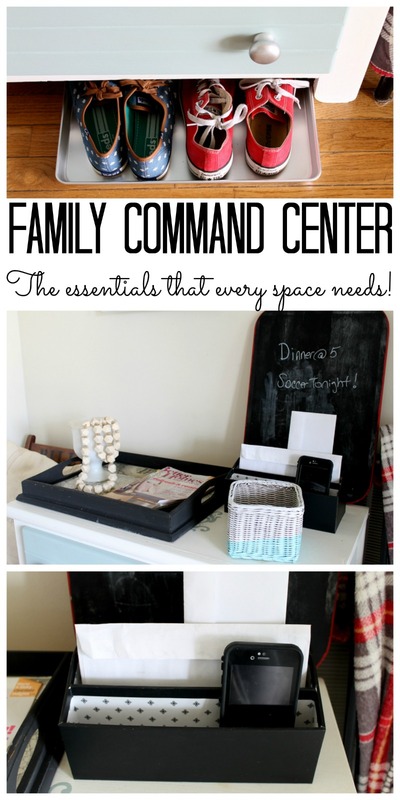 Do you have a family command center in your home? A place where everything can be dropped when you walk in the door? Keep your space organized with our ideas below or create an area to keep your entire family organized. Trust me….you will love the results! Start by designating an area of your home that is convenient to the door you use most often. 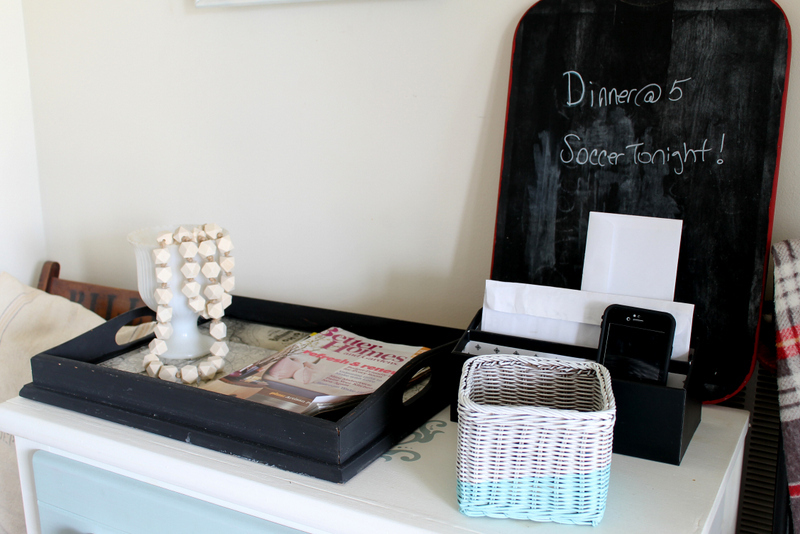 This could be in the foyer, mudroom, or even the kitchen. Add a few pieces of essential furniture in this area. You will need one piece with a large surface for organizing and sorting. You will also need a chair or two to sit and take off shoes. On your surface, there are a few items that are essential to the space. The first is that large chalkboard. Write down the week’s schedule or daily reminders. Anything to keep everyone on the same page! Maybe a chalkboard doesn’t work for you? Try a dry erase calendar or anything else that will keep everyone on the same page. A basket is also really handy in a family command center. 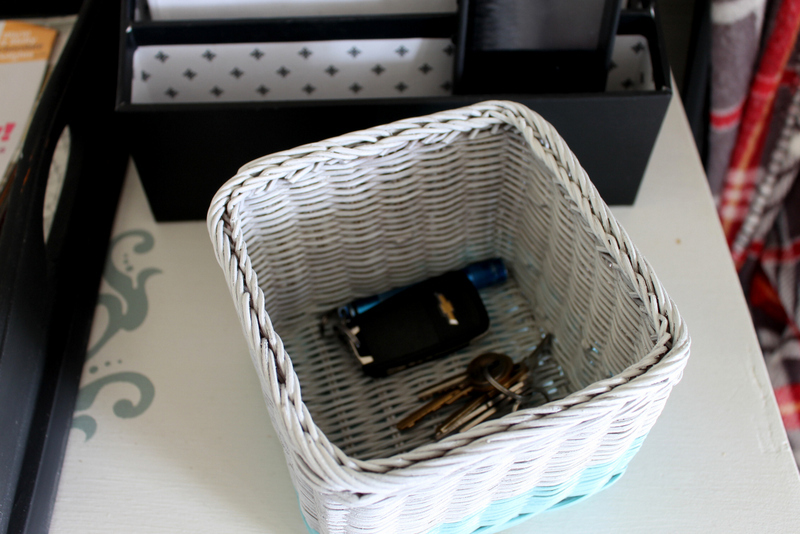 Here we use this basket to throw in keys or anything else that is in our pockets when walking in the door. Never lose your keys again! Some type of mail sorter is also essential. Go through your mail as soon as you come in the door. Throw out the pieces that you do not need and put the rest in bins to ensure it does not get lost. 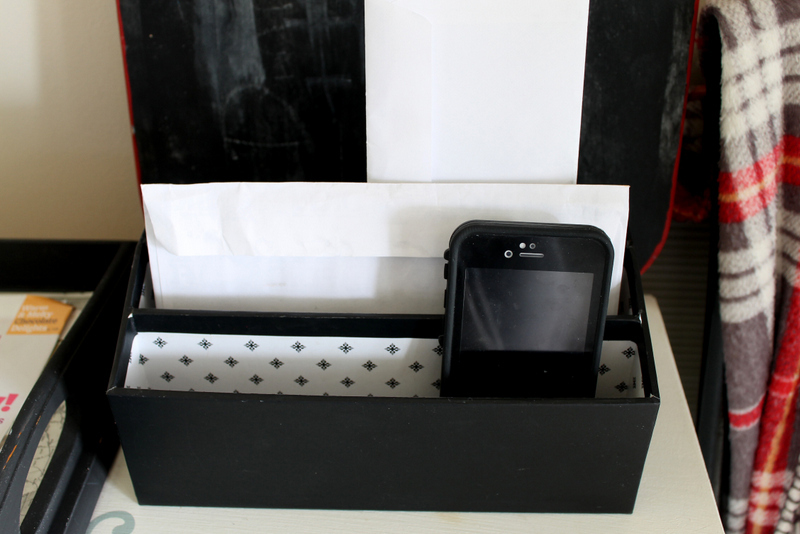 This sorter also doubles as a charging station for some of our electronic devices. You can run your cords in through the back or side with boxes like these for hidden charging capabilities. I also recommend a tray! It is the perfect catch all for larger items. This would include magazines that come in the mail! You will also want to be sure to create an area for shoes. That is the number one issue in our home. I have a great, inexpensive tip for you however! 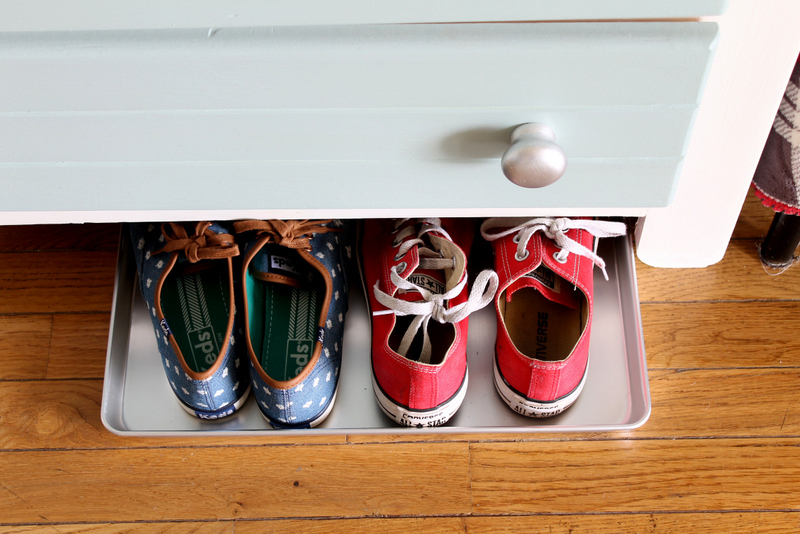 Add those dollar baking sheets from the store to your family command center as shoe trays. It keeps the shoes corralled and the mess up off your floor! You too can create a family command center for your home. List all of the essentials that your family needs. Perhaps you need to add a calendar to our list above. Add it! 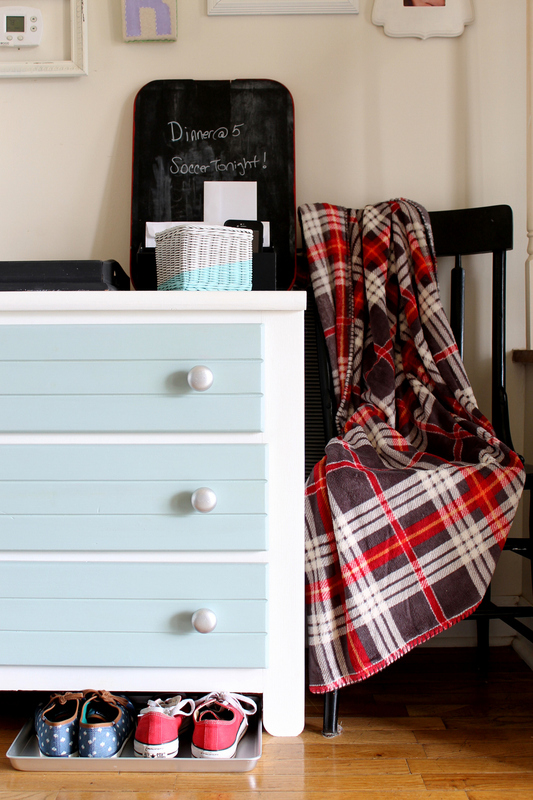 Then take that list and create a space to get your family organized in your home. 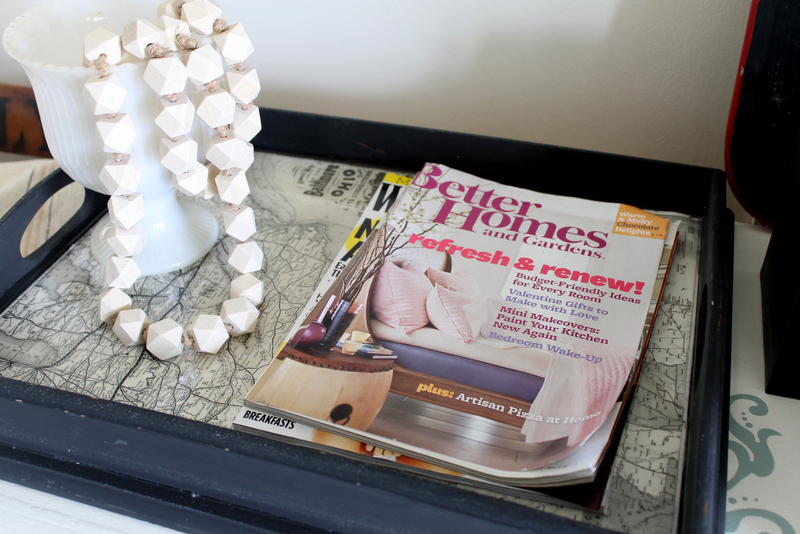 It does not have to be a big area but it will make a big difference in your home! 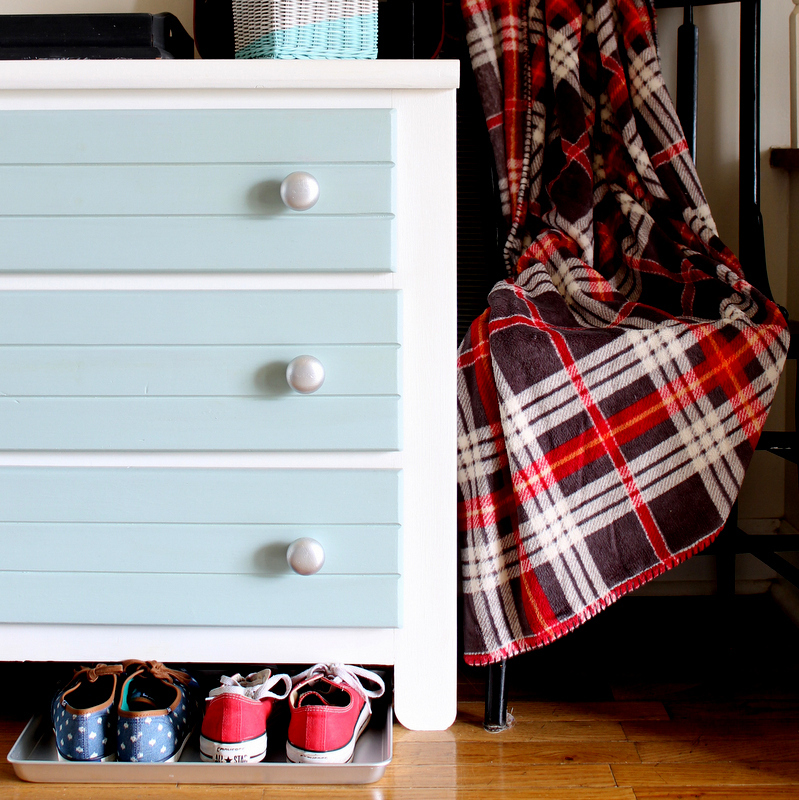 Love this and looking for more ways to organize your family? Check out the links below! These are cute ideas, I want to create a command center for our house. Very nice. I’ve been looking for away to add a command center to my house to keep​ It semi organized. 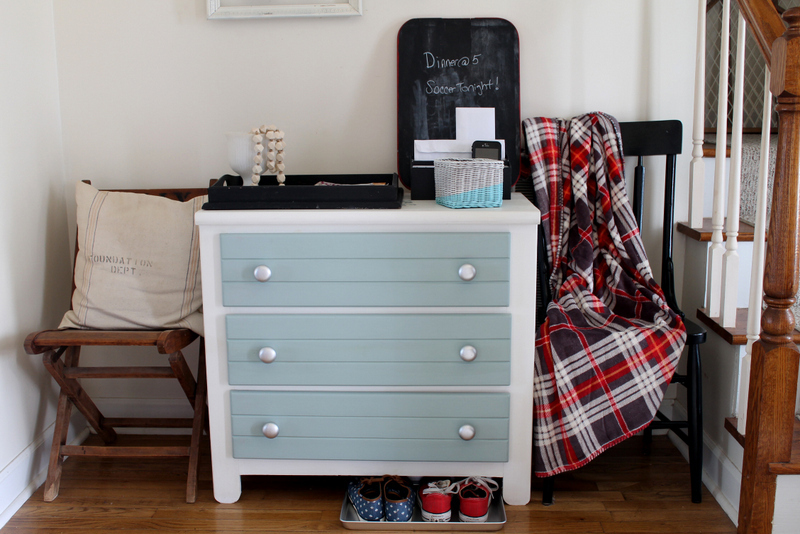 Good ideas for getting organized in style.